Chat services are big business in the App Store. Some make it all that more convenient to talk to friends when on opposite networks to cut down on texting costs. Now with the popular new trend of private group messaging, it’s all the more the rage. 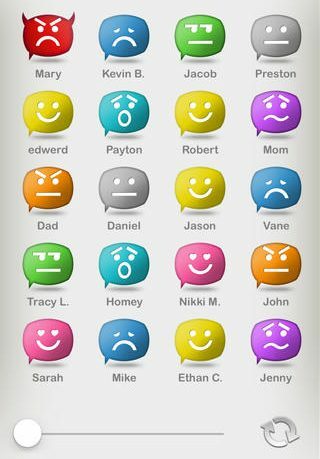 MeeYu brings its own version of group chat centered around your mood. MeeYu is a social mood ring. 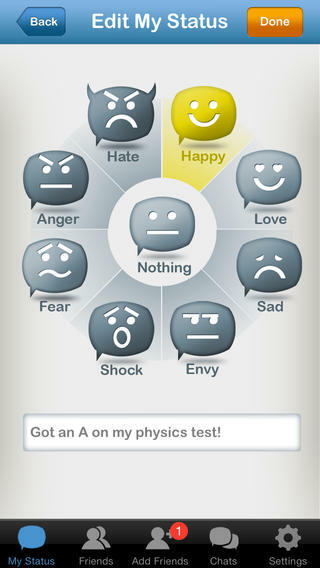 It allows you to easily share your moods with friends and family. By using the 8 main emotions we all posses, you can easily let people know how and why you feel a certain way. 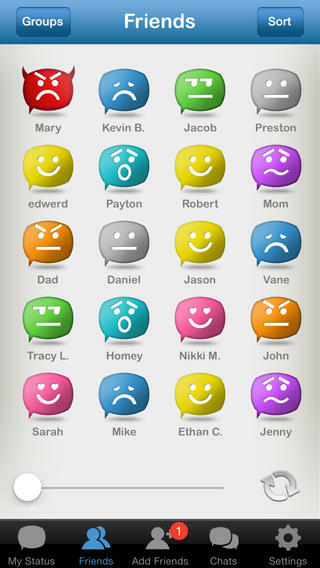 MeeYu’s awesome features include categorizing; grouping your friends for easy access, and even chat in real-time! MeeYu is simple to use. The interface has five areas; My Status, Friends, Add Friends, Chats and Settings. Set-up is a simple registration with just a username, email and password. Just add your friends and you are good to go. Your friends do have to be on the service to talk to one another, but you can send invites to those who don’t have it. Plus it’s free. There are a few banner ads at the bottom but they are only a small nuisance. 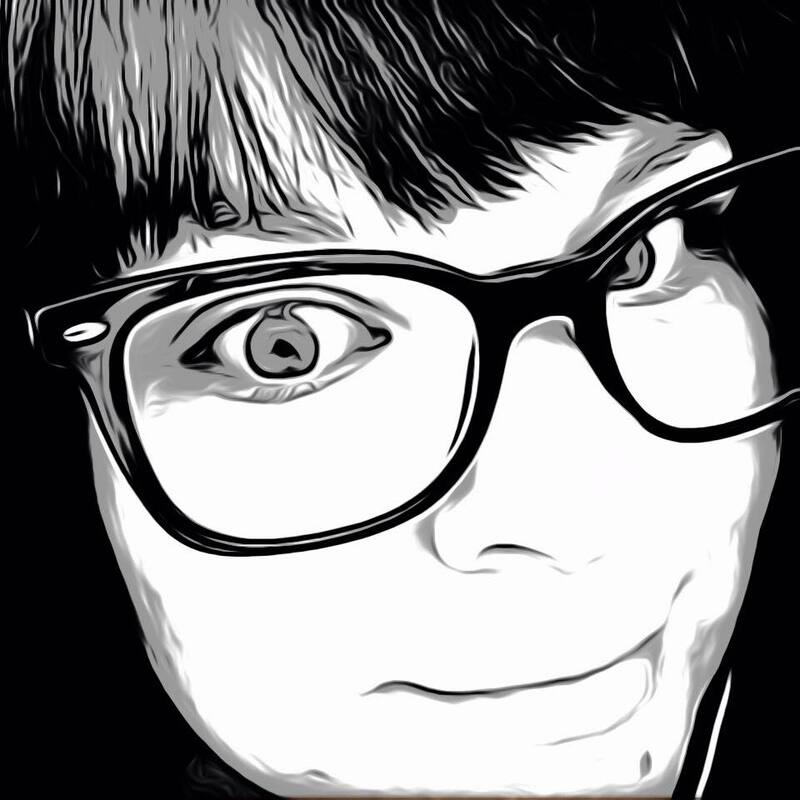 MeeYu is a basic chat app with not a lot of frills. The mood theme is fun and it is very easy to use. Categorizing friends into groups could be a big help to users, especially younger ones. It is available in the App Store now and compatible with iPhone, iPad and iPod Touch.